Reliable High School Biology Teacher who understands the very best ways to get students interested in biology. Adept at presenting dissection projects to all students creating engaging lesson plans and working with faculty to offer educational opportunities to students. 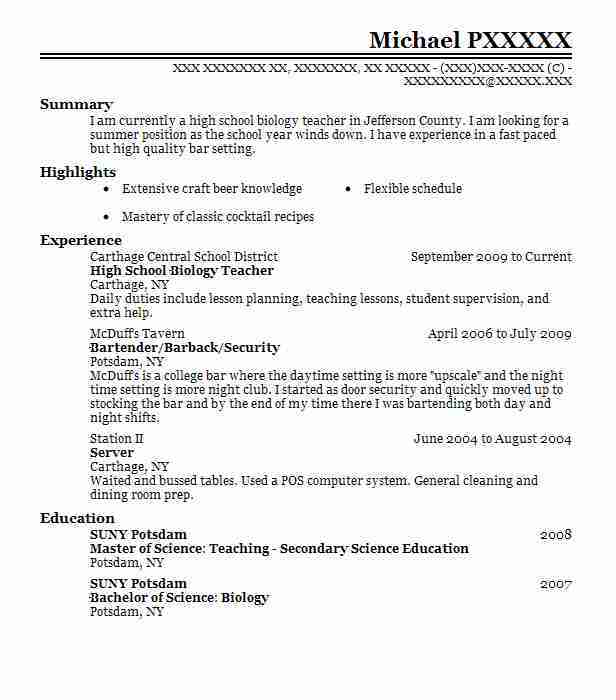 Specializes in general and human biology. Developed several ways to help students get more involved in each biology lab experiment. Worked with faculty to develop after school educational activities that were extremely popular. Assisted in developing several educational guidelines that are still used in the school to this day. Responsible for a student passing rate of 91 percent. Developed several after school biology study labs that were very popular with the students. Worked with faculty to put on two student carnivals during the course of the year. 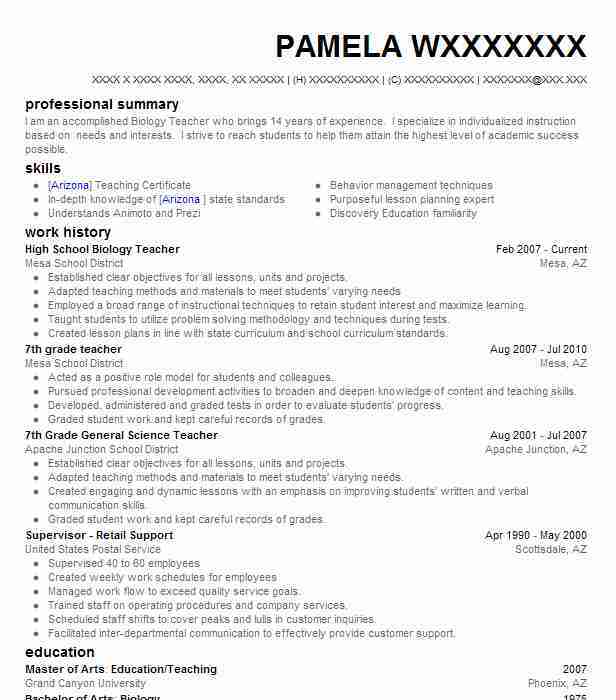 Responsible for creating innovative biology lesson plans that are still being used as models by other biology teachers at the school. Responsible for a student passing rate of 89 percent. 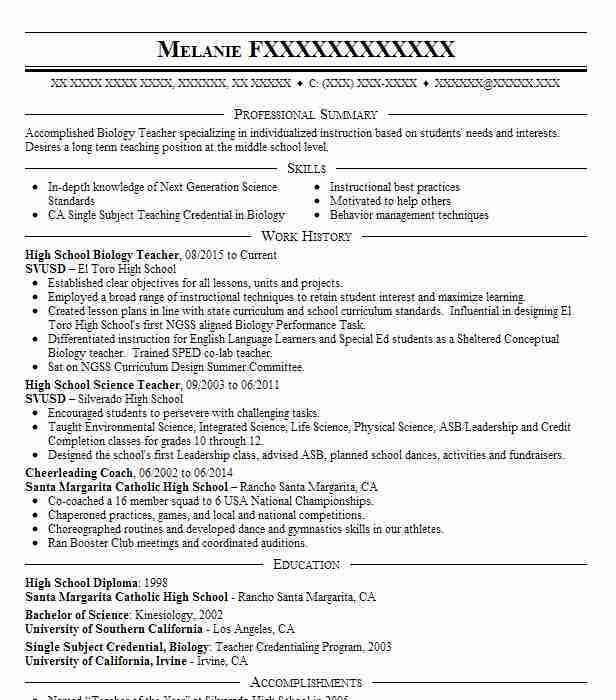 There are plenty of opportunities to land a High School Biology Teacher job position, but it won’t just be handed to you. 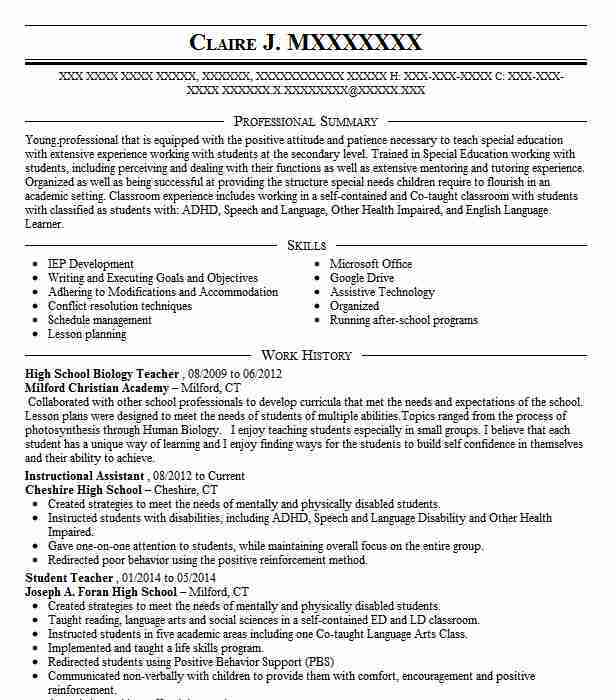 Crafting a High School Biology Teacher resume that catches the attention of hiring managers is paramount to getting the job, and LiveCareer is here to help you stand out from the competition. 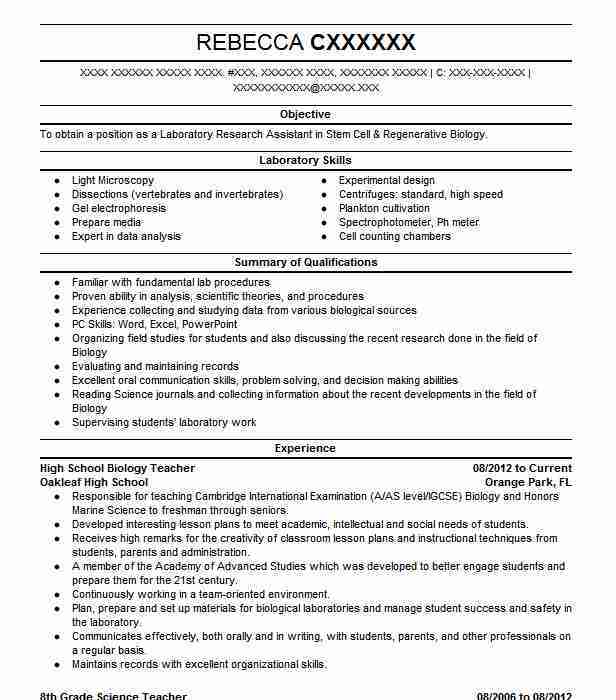 Summary: To obtain a position as a Laboratory Research Assistant in Stem Cell & Regenerative Biology.